Start on your phone, continue on your PC. 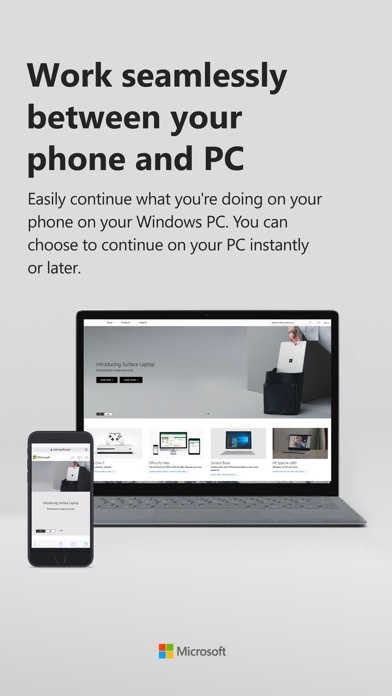 With the Windows 10 Fall Creators Update, you can continue browsing websites from your phone directly on your Windows PC. 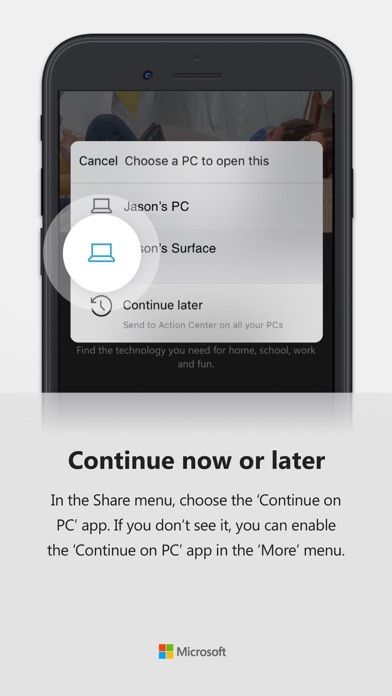 You can even choose to "Continue now" if you're in front of your PC or "Continue later" if you're on the go! Make sure you’re set up. 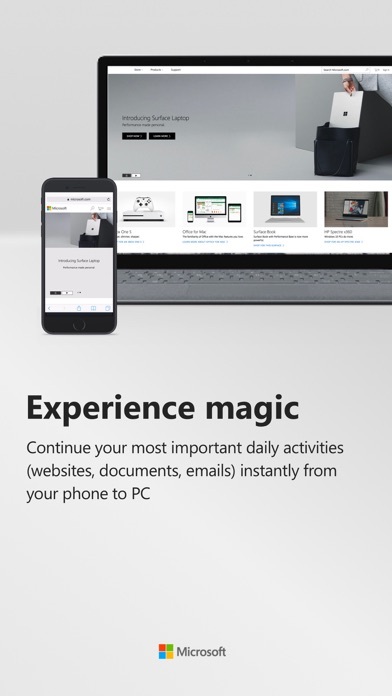 If you haven’t already, link your phone and PC with the latest version of Windows 10. 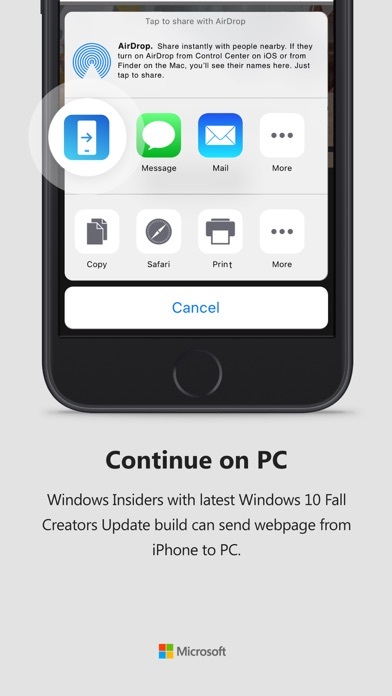 To finish linking your phone and PC, make sure that you: 1) Have the latest Windows 10 Fall Creators Update build installed on your PC 2) Link your phone from your PC. On your PC, select Start > Settings > Phone, then select Add a phone to get started. This use to work then it stopped two or three months ago. I cannot make it work on my Surface Book 2. I hoped the upgrade to Win 10 1809 would do it. Nope. Works with my Surface Pro... doesn't work with my desktop (Dell Optiplex 3020, Quad Core Intel i5, 8 GB ram, 500 GB SSD, Windows 10 Pro). Used to work great and was really useful but hasn't for a while now despite updates and unlinking and re-linking PC & iPhone. 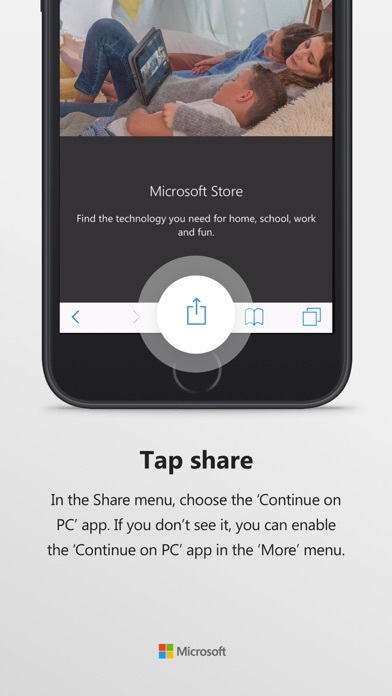 Doesn’t share, works only for iOS 12.1.4. Like most Microsoft products! Install this, it works for a while, then just stops. No idea why. Microsoft is ZERO help, as usual. Have to uninstall and reinstall each time. Then, again, it only works for a while then stops. I tried everything possible to fix this app and get it to work yet for some reason it won't. Sits there spinning after you pick your machine. If you’ve the unmitigated gall to cancel and start again it will fail immediately until you die/respawn. I’m. It sure what the team claims to have fixed.